I tried out all 3 models briefly in their store at Bedok, and settled on the Kiprun SD as the shoe I would be most likely to enjoy. The Kalenji Kiprun SD in US9.5 comes in at 286g which is in line with what the early Brooks Launch models weighed in the same size. The upper sports a relatively thin engineered mesh, which reminds me of that seen on the ASICS DS Trainer 20, and some of the Newton trainers like the Kismet. It is minimally elastic and breathes decently well, better in fact than some of the knit uppers seen in more expensive trainers. There are some laminated areas around the forefoot but nothing that provides a lot of structure to the shoe. Plastic overlays are spartan and confined to the midfoot. There is no firm toe bumper on this shoe, but the overall volume should be more than adequate for most feet. There is adequate padding around the heel collar and the tongue. Combined with the relatively relaxed wrap provided by the 7 pairs of eyelet lace loops, the fit is comfortable but not overly restrictive or supportive. The upper material is less elastic (and therefore more supportive) than that seen in the Skechers GoRun 5, otherwise the lace configuration of the Kiprun SD is very similar. The heelcup of the Kiprun SD is quite rigid and extends roughly 2/3 of the way up the heel of the upper to provide a secure fit around the calcaneus. I would characterize the heel volume of the Kiprun SD as medium, possibly slightly lower volume than that see in e.g. the Nike Pegasus 33. The overall design is quite simplistic, which works fine for me as the current model sports a beautiful shade of blue. The overall fit is relatively straightforward and quite similar to the likes of the Brooks Launch or Nike Pegasus 33. One thing to note is that the arch structure of this shoe is fairly low, and would work well for people with low arches who neutral shoes. I would also like to point out that the insole appears to be of the Ortholite variety, soft and spongy, and a surprising choice because Ortholite tends to be more expensive than traditional insoles. Ortholite supplies a number of big name brands including ASICS and Nike with insoles so their presence in Kalenji shoes represents excellent value here. The insole in the Kiprun SD is approx 2mm thick, and gives the shoe a soft and slightly bouncy character. Unfortunately Ortholite insoles don't generally work very well for me, as the material does not dissipate heat well, and I swapped it out early (as I do with all my Ortholite insoles in other brands) for a more traditional EVA insole. The midsole appears to be composed of single density compression molded EVA foam, with durometer in the high 50s. This is on the firmer end of the spectrum, and sits for me somewhere between an ASICS Dynaflyte and their Skysensor Glide. The advantage of having a shoe with a firmer durometer, apart from excellent responsiveness when running, is that the foam tends to be more durable than its softer cousins. The downside is it takes a lot of force to generate bounce in the shoe. Lighter runners may well find the shoe too firm for their liking. I have received new information regarding the midsole of the Kiprun SD. It is NOT in fact a single density midsole shoe. It would appear that there are two zones with a different density midsole under the first metatarsal toe off zone of the shoe, and as a ring under the heel landing zone. The image below would better illustrate this. It seems that these two zones are marginally softer than the rest of the EVA foam. This is remarkable complexity of design for a "budget" type shoe. The is a moderate amount of toespring in the forefoot, and a mild beveled appearance at the heel, all common design elements used to aid with heel striking and forefoot transition and toe off. These are design elements seen in many modern running shoes, but nevertheless represent impressive value for a “budget” shoe. Here you will see the departure from traditional brands. While the big names are using blown rubber in the forefoot to soften the ride of their shoes, and restricting use of carbon-injected rubber to high-wear areas at the heel, Kalenji opted to use only carbon-injected rubber through the outsole. One might expect a harsher overall ride in the shoe because of this, but because the rubber is arrayed in very thin horizontal grids, the overall ride is still fairly good and not a big departure from shoes using softer blown rubber up front. The benefit here is fewer steps in the production process (i.e. cost savings), and excellent durability of the outsole. Carbon rubber also has very good grip characteristics and this translates to very good traction on wet surfaces for this shoe. There is a small pebax plate to stabilize the midfoot, similar to the Adidas torsion system or ASICS Trusstic system, and it extends into the forefoot propulsion zone as well as medially to offer a small amount of medial support. In this respect, the shoe can be seen as a mild stability shoe. The image above provided by Decathlon Sports SG illustrates clearly how far around the heel and midfoot the pebax plate supports the midsole. Firstly, I want to point out that the insole has a big impact on the ride of the shoe, any shoe, so bear in mind that I did a few runs with the stock Ortholite insole, before swapping out to a traditional EVA insole. With the Ortholite insole, the shoe feels soft and forgiving, while with an EVA insole, the shoe feels more responsive and firm. (For point of reference, i went with an old EVA insole from a retired pair of Saucony Kinvara 5s) Overall, I was impressed with the degree of vibration dampening in this shoe despite the use of carbon-injected rubber up front. In terms of ride, this is one of those shoes that feels quite firm in the heel and softer in the forefoot, and i found that towards the end of a run as i got more tired, i tended to want to land more forefoot to take advantage of the softer ride up front. This sort of ride profile is not necessarily bad for a shoe; plenty of popular shoes feel like this, e.g. NB Fresh Foam Zante and Nike Zoom Fly. It actually leads to faster transitions if executed with the right drop geometry and i think in this case, the Kiprun SD did get it right. I will say that shoe does feel like a lower drop shoe than the measured 10mm drop suggests, and it should suit midfoot and forefoot strikers just fine. Durability has been excellent, as one would expect with a full carbon rubber outsole, and I fully expect this shoe to last well over 500km. 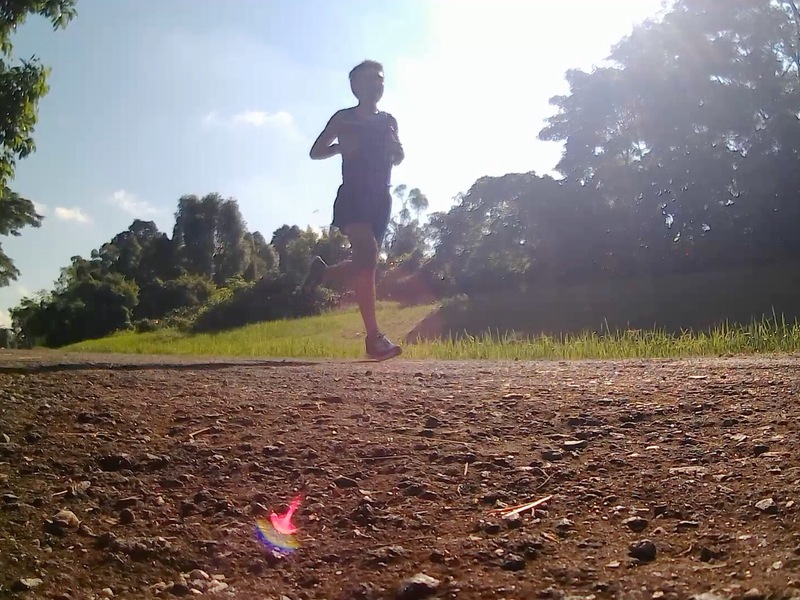 It took about 80km for the shoe to smoothen out for me. Initially the shoe felt quite stiff and this made the transition from landing to toe-off a bit awkward at times, especially on uneven ground. After the first couple of runs, the flex between the mid- and fore-foot seems to have improved somewhat and consequently, the transition has smoothened out a little for me, though i sometimes still struggle to find the sweet spot for landing and transitioning in this shoe. The shoe provided adequate cushioning for me up to 15km runs, but anything longer and I found myself preferring something with a bit more padding underfoot. If there is one knock on this shoe, i would say that the ride lacks a certain liveliness; it is smooth but a little bit "dead" feeling, and actually reminds me a little of a more cushioned Mizuno Hitogami. Overall this shoe represents excellent value for its retail price point of $99. Some of the design elements do reflect the brand’s attempts to streamline costs, but they do not seem to compromise the ride of the shoe too much. 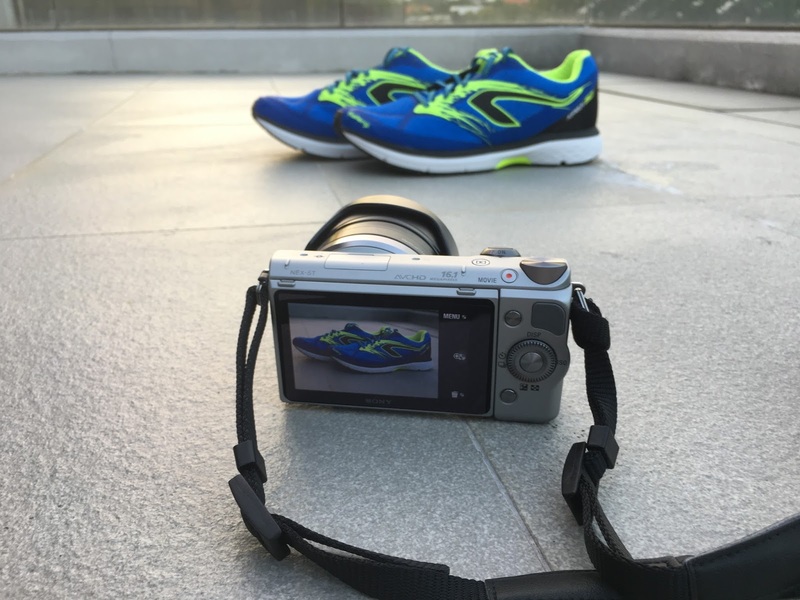 I would consider this an excellent all-round shoe for runners starting out in distance running; at the current price-point, there aren't many do-it-all shoes that compete with the Kiprun SD. The New Balance Vazee Rush and ASICS RoadHawk FF come to mind but both are priced well above the retail value of the Kiprun SD. The Dynaflyte has a softer overall ride, but I was surprised how similar the two shoes are in terms of weight and cushioning. At an uptempo pace, with the same insoles, I think I would struggle to differentiate the two shoes without looking. The Kiprun SD has a firmer heel, and doesn't transition quite as well but both have similar feels on toe-off. It also has the more breathable upper than the slightly denser knit upper of the Dynaflyte. I make comparisons to the Brooks Launch 3 instead of the 4, because Launch v4 lost a lot of weight and made the comparison unfair. The Launch v3 (reviewed here) weighs almost the same as the Kiprun SD, and the only differentiating the shoes is the Launch’s smoother overall transition and softer forefoot. Heel cushioning is remarkably similar for the two shoes. I know the Mizuno Wave Sayonara has evolved quite a lot over its recent iterations and finally became the Wave Shadow. For people who liked the first version of the the Sayonara, and race a lot in the Hitogami, i think the Kiprun SD may be a good trainer to try, because they have quite similar feel in the heel and forefoot, with the Kiprun SD having a bit less ground feel. The Kalenji Kiprun SD retails for $99 and is available at all Decathon stores in Singapore. Derek, thank you for this very detailed review. Really helps! Wow... Thank you for adding the detailed review of shoe..